​We deliver a friendly personalised service to help protect your business or organisation from fire and ensure that you comply with fire safety legislation to avoid fines and prosecution. ​Fire Safety Management is all we do, with no selling or servicing of fire safety equipment to distract us from our core business. ​Believe it or not, we won't guarantee to beat your cheapest quote, as some companies do, because we don't have a "cheap and cheerful" attitude to fire safety. But we will certainly not be the most expensive either. We provide the very best quality fire risk assessments and training at a fair price. We are specialists and proud of being experts in our field. This is approximately the area we cover. Fire Risk Assessments are often viewed as an inconvenience - just more red tape - however, a quality "suitable and sufficient" fire risk assessment can quite literally be the difference between life and death. It is a positive step and should be looked upon as such. Not only will it ensure that the responsible person for the premises is able to comply with all legal requirements, but it will give you peace of mind that you are doing what is required to protect those in and near your premises and help prevent fires from happening that could be devastating for your business. 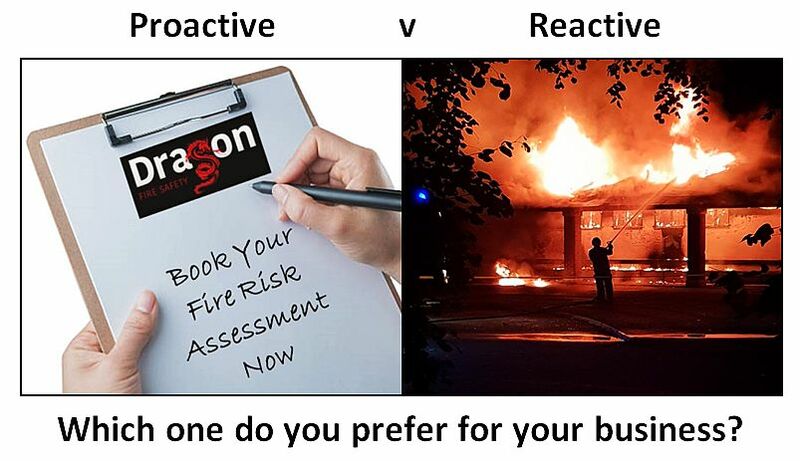 A good fire risk assessment is not just a tick-box exercise. Every finding must be qualified with explanatory text and supported by photographs. The building structure needs to be considered together with any installed fire safety systems, how and by whom the building is used, what can start a fire and what will allow it to grow and spread. Strategies need to be formulated to safely mitigate the residual fire risks. Now is the time to get it sorted - Properly! 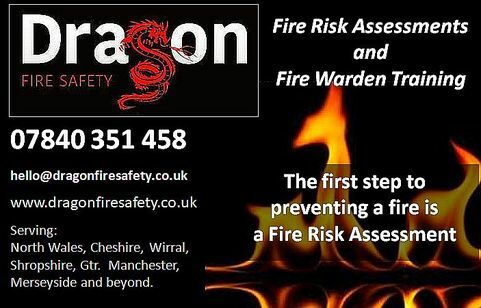 Dragon Fire Safety can give you that level of compliance and reassurance you need and provide you with a detailed bespoke report, specifically written for your premises, by a fully experienced and qualified fire safety consultant, that will be “Suitable and Sufficient” for inspection by enforcement agencies. Call Dragon Fire Safety today to book your personal premises inspection and protect your business NOW! Fire Safety Risk Assessments undertaken locally and nationwide. 07840 351458 or use the Contact form. Dragon Fire Safety can also provide Fire Marshall / Fire Warden training for your business. Please click on the tabs above for more information.